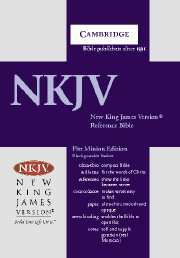 A Cambridge special edition of the New King James Version, with wide margins and extra study features in a quality leather binding. 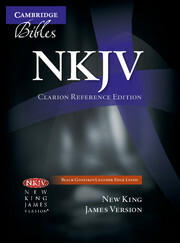 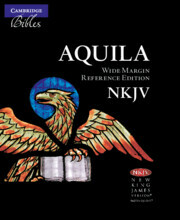 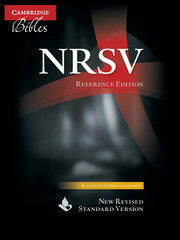 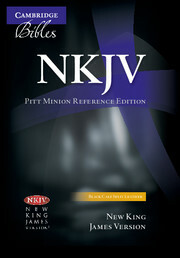 The NKJV Wide-Margin Reference Edition is based on Cambridge's NKJV Pitt Minion Reference Edition. 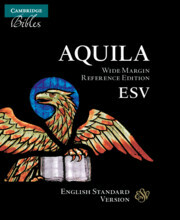 It has the same layout and pagination, but the text is enlarged and has generous wide margins for the reader's own insights and notes. 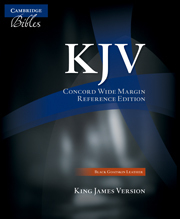 Another difference is the concordance, which is much more extensive. 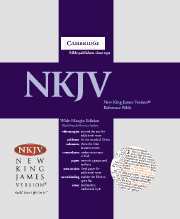 The Bible is printed on slightly thicker paper for enhanced durability, and as in all Cambridge Bibles, the pages are sewn for long life and so that they lie flat when the book is open. 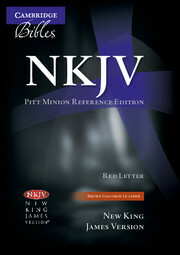 This edition features red-letter text for the words of Christ, full cross-references, extra ruled pages for notes and 15 maps. 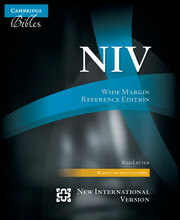 Bound in black French Morocco leather, it has two ribbon markers, a presentation page and gold page edges.